After following the standard material tutorial and also excelling in unleashing its power, it is a good time to go further and look at another emerging kind of materials called PBR Materials standing for Physically Based Rendering Materials. PBR rendering techniques aim to simulate real life lighting. In Babylon.js, PBR is done thanks to PBRMaterial. This material contains all features required by modern physically based rendering. 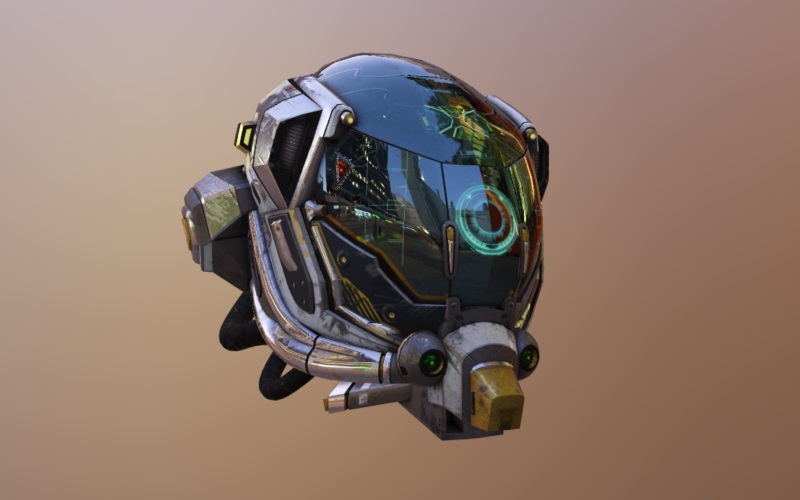 For beginners we also created two additional materials to simplify your first contact with PBR. If you want to directly dig into the richer version, please have a read at Master the PBR for more information on how to use the main material. baseColor / baseTexture: The base color has two different interpretations depending on the value of metalness. When the material is a metal, the base color is the specific measured reflectance value at normal incidence (F0). For a non-metal the base color represents the reflected diffuse color of the material. metallic: Specifies the metallic scalar value of the material. Can also be used to scale the metalness values of the metallic texture. roughness: Specifies the roughness scalar value of the material. Can also be used to scale the roughness values of the metallic texture. metallicRoughnessTexture: Texture containing both the metallic value in the B channel and the roughness value in the G channel to keep better precision. Ambient occlusion can also be saved in R channel. As you are already really familiar with the Babylon Standard Material now we'll only try to address here the main differences and as the simplest setup; your only changes will be to instantiate a PBRMetallicRoughnessMaterial instead of a StandardMaterial. With this specific configuration, you can see that there is no reflection at all (metallic set to 0) and no specular (roughness set to 1). This call will create all required data used by the materials to produce final output. diffuseColor / diffuseTexture: Specifies the diffuse color of the material. specularColor: Specifies the specular color of the material. This indicates how reflective is the material (none to mirror). glossiness: Specifies the glossiness of the material. This indicates "how sharp is the reflection". specularGlossinessTexture: Specifies both the specular color RGB and the glossiness A of the material per pixels. Dynamic lights are an important part of your PBR setup. You can decide to have no light and only use the environment texture to light your scene or you can decide to add additional light sources to enhance your rendering. By default, light intensities are computed using the inverse squared distance from the source. This is a type of falloff that is pretty close from what light does in real life. So, the further you are, the bigger your intensity will need to be to reach a surface. You'll find more info about how dynamic lighting works in the Master the PBR, but you may want read how to setup a HDR environment first.